From a fun aquarium outing? Is that a piranha? Is this at a sealife centre or similar? Not sure what it is but well done, I seem to be terrible at snapping things through glass! 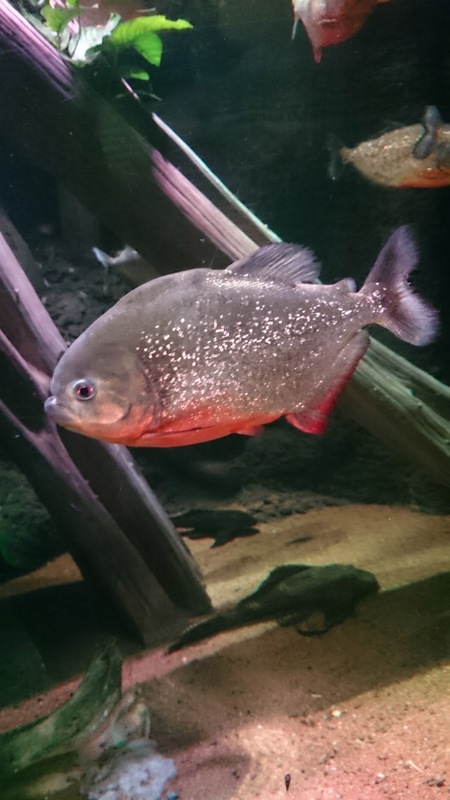 I love piranhas, they're so shiny and pretty but their expression is so sullen! Is that a piraña? I think I remember it from sealife centre. Great photo. He looks a bit grumpy! That is one grumpy looking fish. Haha. Happy Sunday! Not a happy fish, piranha or oscar? Brilliant picture, so clear, no reflections etc - well done! I could spend hours watching fish, is this at home? Great photo, it looks like it sparkles! Looks as if someone has sprinkled him with glitter doesn't it.